Reviews are all around us. You want to find a new restaurant in town to eat at? You’ll look up some hot spots and check out their reviews. You have to get your car serviced and don’t have a go-to mechanic? You’re going to hop onto Google and look up reviews. So how are consumers choosing your home services company as the local business they want to use? Most likely – it’s reviews. Online reviews help consumers in the buying process. 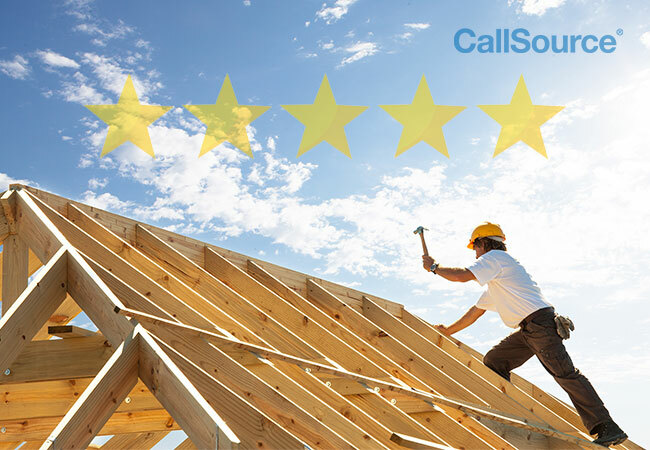 While you should already know how online reviews impact your home services company, the next step is taking the time to respond to the reviews you receive. When choosing a company to help with their home service needs, consumers want to make sure that the company that they choose is reliable, affordable, and will cater to their needs. When reading reviews, a company’s review page that shows the manager responding to others’ online reviews demonstrates that the company is personable and takes that extra step to really care about its customers. But why else should you respond to customers online reviews? When you are committing to responding to new reviews that you receive, you are making sure that you are also keeping up-to-date on your review presence. You should dedicate a responsible employee to regularly check your online review presence – this person may be a manager, or perhaps even a customer service representative. By dedicating the time to keep up on your reviews, the responsible person must make a list of all popular review sites that your company appears on, keeping in mind any industry-specific review sites such as Angie’s list. If your budget allows, consider an aggregate online review platform that has the ability to automatically alert you whenever a new review is left on any review site your business appears on. No one wants to get a negative review from a bad customer experience, but unfortunately, they are bound to happen from time to time. Fortunately, bad reviews won’t altogether ruin your reputation if you know how to handle them properly. When data shows that 4 in 5 consumers reverse their purchase decisions based on negative reviews1, it is handling these reviews properly that will ultimately help build your online reputation even higher. Make sure to respond quickly – the longer you take to respond to a review, the angrier a customer may be at your business’s lack of response to rectify the situation. But also don’t respond too hastily. Do your due diligence to research what exactly happened so you can be informed in your response. It isn’t enough to simply be apologetic or empathetic; you need to be actionable. Tell the reviewer what actions you are taking to correct the experience. Like anything you’d put on your website or pay to put on an advertisement, this response will stay on the internet and will be read by customers and prospective customers. You want to get it right the first time. Lastly, if there is an issue brought up in the review that is particularly concerning, show that you care. People like people, so when you are putting a real face and voice to your business and showing you truly care about their concerns, they will appreciate it. The whole conversation doesn’t need to be online, but it shows you are willing and putting forth the effort to make it right. Get the checklist for responding to negative reviews here. Having more reviews and more stars in the Google Local Pack (and across other online review sites) doesn’t only help your business become more trustworthy and enticing—it also helps with SEO. Having your customers do the work for you by writing reviews for your business will have a positive impact on your SEO – especially when it is estimated that online reviews account for nearly 10% of Google’s total SEO ranking factors. How? Well, online reviews give your company relevant and recent content on the web. When customers are writing about your company and services, they are adding to your long tail keywords and helping your business show up higher in search results when other consumers are looking for the products and services that you provide. When you respond to these reviews, you boost your SEO efforts as well by becoming a more reputable company that consumers want to choose, therefore earning more clicks and showing that your company resonates with what people are searching for, therefore helping you earn higher search rankings. If you need help with your reputation management, click here to have someone reach out to you, or contact a representative today at 888.788.0123 to learn more. I want to talk to someone about maximizing my online review presence.